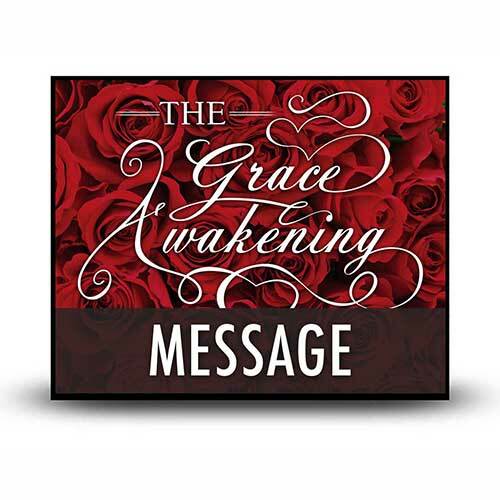 Note: The Grace Awakening audio series features the complete messages that Chuck Swindoll preached from the pulpit. The finished product is a set of expanded messages that contain material not heard on the broadcast. Producing the final sermon version often involves merging messages from two church services and requires extra time for editing. To order this message now so you will have it when it is available, call customer service at 800-523-6959 Monday – Friday, between 7am-5pm CST. If you would rather wait until the series is ready to ship, or download as an mp3, you can sign up for our store announcements below. More than 300 years ago, John Bunyan wrote his immortal work The Pilgrim’s Progress. It’s the fascinating story of one man’s pilgrimage from earth to heaven and the numerous obstacles he encounters along the way. Those familiar with the story have no trouble remembering the pilgrim’s name: Christian. However, most don’t recall that Christian’s given name was Graceless. All of us who claim the name of Christ as Savior have a similar story. Our name is now Christian, but it was not always so. Before Christ became part of our lives, we were people who lacked grace. Unfortunately, there are some whose names have been changed—who have believed in Christ as Savior—and yet their lives remain graceless. As you listen to this lesson, stop and ask yourself, Am I one of them? Keep your answer in mind as you discover the impact grace can make in a person’s life . . . especially in areas where virtually everyone struggles. Copyright © 2005, 2013, 2019, 2019 by Charles R. Swindoll, Inc. All rights are reserved worldwide.